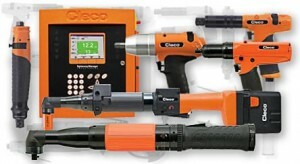 If you need to acquire quality industrial air tools for your business in the Midwest and want to deal with a distributor that boasts an expansive inventory of brand-name tools and provides exceptional customer support, then your choice should be Wm. F. Hurst Co., LLC. We have served Kansas City, Wichita, Dallas, Fort Worth, and many other cities in the Midwest for more than 50 years, providing exceptional tools and equipment as well as an unmatched level of industrial supply expertise. When partnering with our company, you can expect us to not only quickly provide the tools that you need, but also to take the time to fully assess your needs and make product recommendations that will improve processes and reduce costs within your operations. In addition to pneumatic air tools, Wm. F. Hurst offers a wide range of other supplies. Our selection includes cutting tools, hand tools, metalworking fluids, abrasive discs and belts, and more. Contact Wm. F. Hurst today to learn more about our selection of industrial air tools or any of the other industrial supplies that we offer. We proudly serve businesses in cities throughout the Midwest, including Kansas City, Wichita, Dallas, Fort Worth, Sedalia, and Springfield.